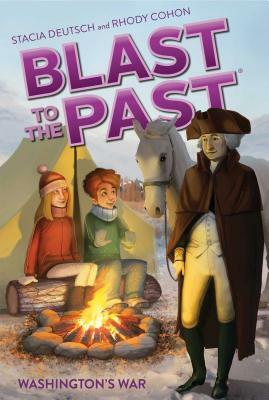 The Blast to the Past friends must convince George Washington to keep fighting the Revolutionary War—because the future of America depends on the decision of this very important founding father! Abigail and her friends have an important job today: They must convince George Washington to stay in Valley Forge and continue to fight the Revolutionary War. The future of America depends on him! Turns out, General Washington is extremely stubborn. No matter what the kids say, or where they take him, they can’t get him to change his mind. Will Abigail and the boys succeed, or will the father of the United States become just a blip in history?